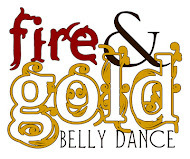 Confessions of a dance pants addict: National Belly Dance Day! Today was National Belly Dance Day! I had some free time this afternoon, so I decided to make a treasury of some beautiful dancey-dance Etsy items. Because it's a Saturday, I also went to the Community Class! It was just three of us from Fire & Gold, so Jolie turned it into an extra troupe practice. We finished our third choreo (and good thing too, since we have to perform it a week from tomorrow), so when the normal practice rolls around on Monday, it will be all figured out and the rest of the troupe can learn it and we can drill the heck out of it and be awesome. I actually feel more comfortable with this piece than with the second one, even though it's been done for longer. This last piece uses a lot of ITS-style moves, so the vocabulary is really familiar to me. There's not as many small accents to keep track of. Plus it's a fun song and a saucy choreo. I'm really excited for our show next weekend, but also a little nervous. I have to admit I am not really loving my glow fan solo. I am kind of tired of my fans. I actually have a small scar on my inner elbow from where I hit myself with one while demoing for the rest of the troupe. I think I might have to wear sleeves when I perform.